Dave and I have lived away from home for over two years now (Dave nearly three!). When I left I took a lot of my stuff, but left bits and pieces for Mum and Dad to 'remember me by' (really it was that stuff that should be thrown out, but for whatever reason, is a little bit precious). Now when I visit I like to peruse those boxes and find things I'd forgotten about, or am now ready to lease a new life on. Last visit I was hoping to find my old point and shoot camera. It was my first ever camera, given to me when I was nine, for Christmas. That year I had really wanted rollerblades (I ended up getting them for my 10th birthday), but I can see now that Mum and Dad got it right in giving me a camera. I didn't find the camera, but I found some discs filled with photo scans - and it just makes me more eager to find that nifty little point and shoot next time I'm at home. 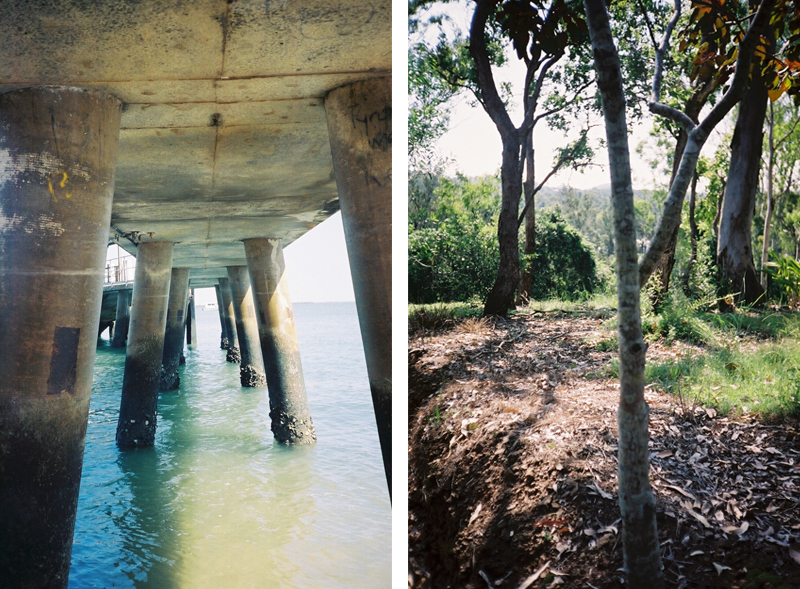 These are some pictures I took in my final year of school, which was only seven years ago. Can you believe we were still using film that recently?! These are some of my favourites from the discs, as they brought back memories of some great days I had forgotten about. I left out the pictures of me with short hair, as those are the days I will keep trying to forget about. 1. On an Art excursion to Coochee Mudlo Island. / 2. Biology assignment, documenting lichen. / 3. Climbing one of the Glass House Mountains. / 4. Growing seeds for a Biology assignment. / 5. Documenting places on an Art excursion to Coochee Mudlo Island. / 6. Finding lichen at my local park, for a Biology Assignment. / 7. 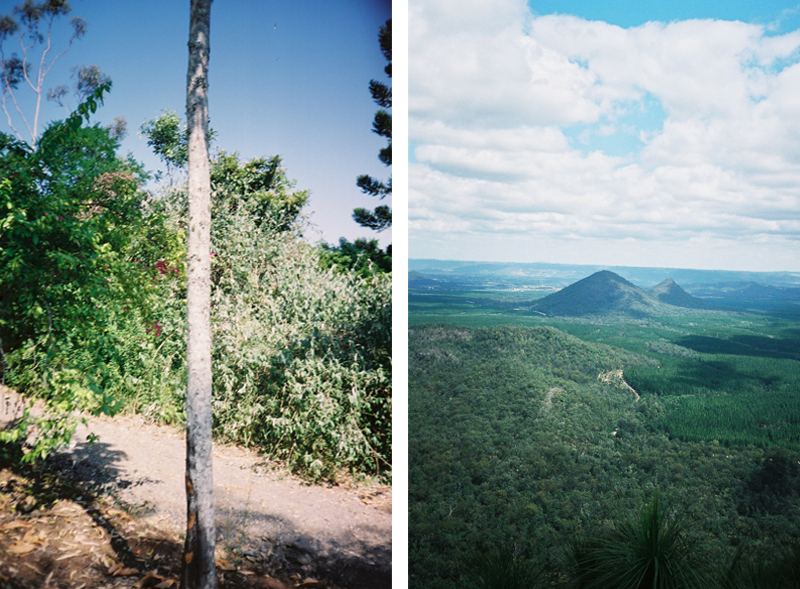 The view above the Glass House Mountains. / 8. White Chocolate and Rasberry Mudcake for a friend's 17th Birthday.